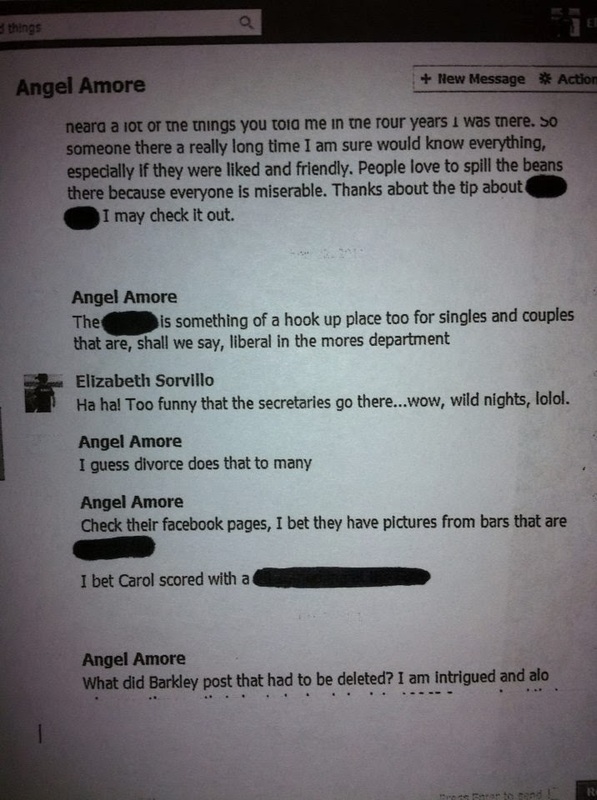 We published excerpts from these emails in October in another venue, and I also wrote a version of the following blog at that time that did not include the Angel Amore tidbits. I didn't publish it, but today I thought what the heck and I added the Angel Amore stuff. The letters were sent several months ago by a former member of the clergy who lived in close quarters with Br. Ben. We deleted a few words to protect his identity, at his request. I just wanted to say how much I admire Felicia!! She's the only one in almost 30 years to put an end to Ben's nonsense!! But.....if you think HE'S at all affected, you're mistaken. He's still there (in the Friary) telling anyone who'll listen how WONDERFUL he is. He's a smarmy, horrid, EVIL little man. Felicia described him to a "T"....!! .....you didn't have to do much.... just "worship" him!!! I left the Prep in the early _0's because I couldn't take him anymore.....best thing I ever did !! Among his own confreres he's known as "Benjafu*k" !!! Anyway, good luck... I feel bad. SFP was a nice place. Once HE moved in we had to start locking doors. And his CONSTANT self adulation was too much. He was also very willing to tear people down just to make himself look taller. I just wanted to congratulate you and thank you for being so brave!!! It's about time someone blew the whistle on that little weasel!! He was a terrible teacher who did nothing. He got away with it for so long because he gave out the grades....so the students just learned to put up with it. I believe every word you said, because I actually LIVED with him. He is a terrible person. It's just his style to badmouth someone who's a threat to him or BULLY someone into submission. Good for you for standing up to him. Unfortunately, with his personality, he STILL thinks he's God's gift to the world. By the way, he's about the ONLY ONE who thinks that way. I wish you the best of luck. NO ONE should have to put up with that. I put the blame on HIM..... an administrator or someone in authority SHOULDN'T HAVE to tell a 62 year old BROTHER what's proper and improper. He tells everyone that he's just fine..... they just found him to be "NAIVE" .... I agree .... he was naive to think he could get away with it forever. "Creepy" is a great description of him. I'm so sorry you had to go through it. You were NOT the only one. 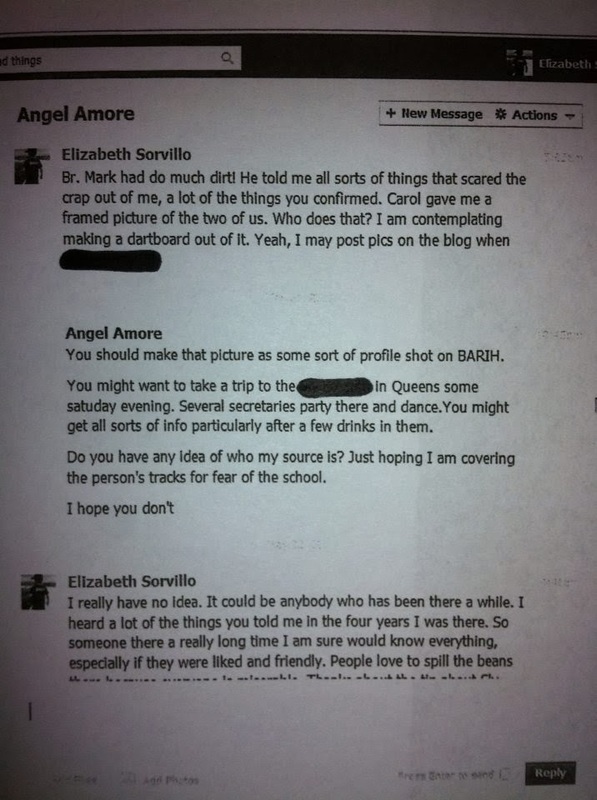 Like I said , people didn't come forward because they were getting the grades .....it was too bad it lasted that long. Just know that YOU did nothing wrong!! He thinks he can do anything he wants. It's about time someone called him on it. Yes.... he's still living there .....and he's STILL telling people how wonderful he is. attraction to the girls.....but to be honest I just thought it was "over compensation". I just know that I couldn't go on living there.....it was HELL on earth!! And what was with all those SONGS???? It just seemed so dumb to me. Unfortunately, Ben is only interested in ONE THING: BEN!!! He is , and always has been a self absorbed, selfish little man. Years ago he was ENCOURAGED to live somewhere else, but he refused. You have to understand - BEN IS NEVER WRONG!!! As for his being naive..... that's just nonsense!! I don't doubt your account as to what transpired when you reported him, but I still blame HIM!!! But I agree that something should have happened IMMEDIATELY after you reported it. "That's just the way he is and wasn't it funny" just doesn't cut if for me. I have to tell you I feel very bad for all that is happening, but I do understand it....SFP is a SCHOOL....not a PLAYGROUND for teachers / brothers who NEVER grew up!!! EVERYTHING you said about Ben rings true....I have no doubt that all the rest is true also, and that's tragic. As far as I'm concerned, THAT MAN has contributed in great part to the downfall of a once great institution. You've been through enough. And , as I've said before, with all of this going on, BEN is on his merry way, without a care in the world. The SHAME won't be cast on HIM. I find this disgusting. I don't know how many people he's led AWAY from the Church!! You've seen his "MO" first hand....he'll get other students to do his dirty work, spreading whatever lies he can to protect himself. And his "humble friar" routine is sickening. I just hope that eventually you can get past this. HE'S in a lot worse shape than you are!! He will NEVER admit that he's anything less than perfect. The fact that at one time he wanted to devote his life to give you pleasure and NOW he wants to see you destroyed should tell you something about his character. I just want you to know that if there is EVER a trial (and I hope there IS! ), I plan to be there. And I think you can guess on which side I'll be sitting. I know what you're thinking. Yes, I agree, it's all so nuts. But I said it before and I will say it again: Without Angel, I never would have been able to connect so many dots. Many people are grateful that I did.